Ben Nevis is a local attraction near to this hotel. In the heart of Fort William, this Premier Inn makes an ideal base from which to explore the local surrounds. 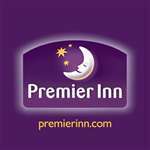 Our Fort William Premier Inn has everything you'd expect, incredibly comfy beds in every room and an onsite Brewers Fayre restaurant serving great value pub favourites in a family friendly environment.